Massage therapy is one of the most popular alternative therapies used by people all over the world. It is an oldest healing therapy that was practiced before the pharmaceutical evolution took place in the 1940’s. Massage therapy is believed to originate in Ancient Greece by Asclepiades of Bithynia who uses “rubbing” as a healing method to treat several physical and mental ailments. 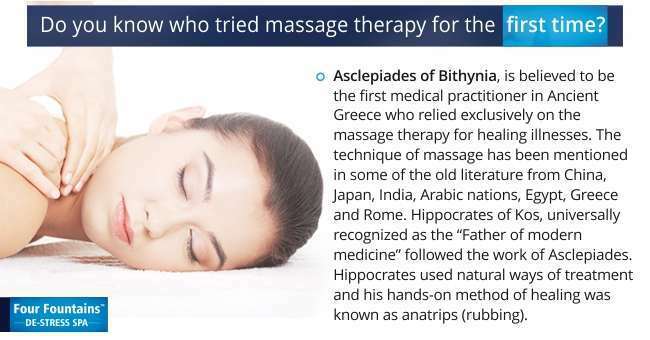 Many Greek physicians, who practiced massage therapy slowly spread the techniques to other parts of the globe and the therapy gained a lot of acceptance due to its effectiveness. The modern world too has witnessed several benefits of massage therapy and these have been proven though several clinical studies. Massage therapy manipulates muscles, joints and deep tissues. 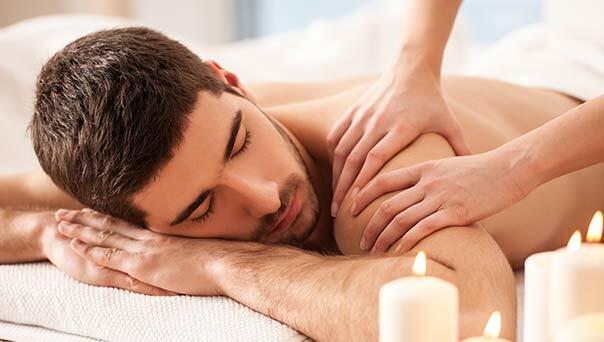 However, there are different types of massage therapies and each has a unique technique and benefits on body. 1. Swedish Massage :Swedish Massage is the most common and popular massage therapy mainly offered for pain relief. It is characterized by five basic stroke techniques: effleurage, petrissage, friction, tapotement and vibration. The massage movements relieve muscle tension and improve blood circulation. 2. Aromatherapy Massage : Aromatherapy Massage works on the principles of touch and smell. It is performed using a blend of essential oils obtained from flowers, leaves, roots or bark of the plant. The aroma of essential oils reaches the brain and causes mental relaxation. 3.Thai Massage : Traditional Thai Massage is dry therapy performed without using any oils or creams. It involves yoga like stretching actions and other massage movements. Thai Massage helps to reduce muscle stiffness and tension. 4.Ayurvedic Massage : Ayurvedic Massage is an ancient therapy that originated in India about 5000 years ago. Abhyagam Ayurvedic Massage has been mentioned in the old classic texts as one of the important regimes for overall good health and longevity. It is performed using long strokes that stimulate the marma (energy points) on the body to restore the energy balance. 5. Shiatsu :Shiatsu is a Japanese therapy that uses ‘finger pressure’. In this type of massage the practitioner uses touch and pressure to adjust the body’s physical structure and balance its energy flow. This type of massage is mainly used for reducing the stress and promoting general well-being. How Do Massage Therapies Work? The basic mechanism by which most of the massage therapies exert their positive effect is by increasing the blood circulation, and flow of other important body fluids. However, different massage types may work by different mechanisms. For instance, Aromatherapy shows calming and relaxing effects on mind by stimulating some specific regions in brain. Thai Massage increases the flow of energy, where are Swedish Massage manipulates the muscles. Get much needed mental calmness with Aromatherapy Massage! Rejuvenating Swedish Massage with Sesame Oil : This is a full body Swedish Massage that uses five specific massage strokes reduce muscular pains and create a feeling of refreshment. Energising Aromatherapy Massage with Grapefruit : A gentle massage that works on the sense of touch and smell, it uses a blend of Lime, Grapefruit and Peppermint essential oils to release hormones that energise your body and mind. Revitalising Thai Massage : Thai Massage is a type of dry massage that is performed without using any oil or cream. It involves various yoga-like stretching action to improve the flow of energy by eliminating blockages. Therapeutic Ayurvedic Massage with Bala Oil : Ayurvedic Massage involves application of herbal oils using strokes as prescribed in Ayurvedic texts. It revitalizes the body's energy points to promote healing and longevity. It reduces joint pains and increases immunity. Sleep Enhancing Massage with Vetiver Gel: This is a type of Aromatherapy Massage that uses Vetiver oil in Aloe Vera Gel. Vetiver oil is known for its calming effect on mind. It reduces restless and promotes sleep. Anti-Oxidant Massage with Juniper Berry Cream : This Massage uses Swedish Massage technique and Juniper oil in shea butter cream. Juniper Oil contains terpene hydrocarbons, chemicals with potent antioxidant properties. Massage with Juniper Berry cream improves blood circulation and helps to eliminate unwanted toxins from the body. The Juniper oil also has a fresh and calming aroma that relaxes mind. Comforting Back Massage : This massage uses principles of Swedish Massage and reduces tension build in the back muscles. The massage stroked help to reduce stiffness and improve flexibility. Soothing Head-Neck-Shoulder Massage with Bala oil : This massage is based on the principles of Ayurvedic Massage and uses special Bala oil to reduce pain and stiffness. The massage uses special Ayurvedic Bala oil and concentrates on head, neck and shoulder, the body regions most affected by mental stress. Refreshing Foot Reflexology : This is special type of foot massage that uses reflexology principles and stimulates special acu points present on the body. The pressure massage of acu points stimulates the internal organ corresponding to this special point. What is the Cost of Massage? Find out the cost of full body massage and localised massage at Four Fountains De-Stress spa at a location closest to you. 1st Floor, Kohli Villa-130, SV Road, Near Shoppers Stop, Next to Raymond, Andheri West, Mumbai 400058. 1st Floor – Om Palace, Above Bombay Barbecue, Opp. Dr. Ambedkar Statue, Dr. Ambedkar Road, Bandra (W), Mumbai 400052. Ground Floor, Rajanigandha Shopping Centre, Behind Indian Bank, Opp. Gokuldham Temple, Gokuldham, Goregaon (East), Mumbai – 400063. 1st Floor – Sagar Garden,Above Yes Bank, Opp. Vasant Oscar/Domino’s,Near Nirmal Lifestyle, L.B.S. Marg, Mulund (West),Mumbai – 400080. 1st Floor – Cypress, Next to Vodafone Gallery, Hiranandani Gardens, Powai, Mumbai 400076. 102, E-Square, Above State Bank of India, Near Garware Industries, Subhash Road, Vile Parle (East), Mumbai – 400057. Ground Floor, Next to ICICI Bank Shivalik Road,Malviya Nagar, New Delhi – 110017. South Extension-2, Lower Ground Floor – M-3, Behind Kotak Mahindra Bank, Next to Ritu Kumar, South Ex II, New Delhi 110049. 1st Floor, Unit No C-12C, Super Mart 1, DLF City Phase-IV, Gurgaon (HARYANA). 1st Floor, Leela Square,4th A Cross, 3rd Main, Panduranganagar, Near Adiga’s Restaurant, Off Bannerghatta Road,Bangalore-560076. T. K. Plaza, #1095, Opposite to IOC Petrol Bunk, Sarjapura Outer Ring Road, Bellandur, Bangalore-560012. No. 8/2 –3rd Floor, Opp BEML Bus Stop Brookefields ITPL Main Road Kundanhalli Bangalore-560037. Signature Square, 1st Floor, 484, Binnamangala 1st Stage, CMH Road, Near KFC Circle, Indiranagar, Bangalore–560038. #664, 1st Floor, 11th A Main Bangalore Central Road, 5th Block, Jayanagar, Opp Raghavendra Swamy Mutt, Bangalore-560041. 316, 1st Floor, 7th Main Road, 1st Block, 80ft Road, HRBR Layout, Kalyan Nagar, Bangalore-560043. 22/1, First Floor, Above Bombay Dyeing Showroom, 5th Cross, 5th Block, Kalyana Mantap Road (Anand Sweets Road) Bangalore – 560095. 1st Floor, 13th Cross, Upper Palace Orchards, Sadashivanagar, Bangalore-560080. 9A, 1st Floor, West Block, Amanora Town Centre, Magarpatta Road (Kharadi-Hadapsar Bypass), Pune 411028. 1st Floor – Varsha Court, Near HDFC Bank, Anand Park Aundh, Pune 411007. 2nd Floor, S.NO 163/3B/1, Opp. Primrose Mall and Aker Solutions,Near Balewadi Phata Baner Road, Baner, Pune – 411045. 1st Floor – Pradyumna,Lane next to Bank of Baroda Off Bhandarkar Road,Pune 411004. 103, 104, 1st Floor, Power Point, Lane Number 6, Opp Murphies, Koregaon Park, Pune – 411001. 2nd Floor Mayuresh Condominium Apartment, 6 Mayur Colony, Opp. Mrutyunjay Temple, Karve Road, Kothrud, Pune 411029. 2nd Floor – Chambers, Above Tanishq, Next to Keys Hotel,Near PCMC Office, Old Mumbai Pune Highway, Pimpri – 411018. First Floor – Royal Towers, Above Shree Krishna Restaurant, Opp. Telephone Exchange, Clover Park, Viman Nagar,Pune 411014. 1st Floor, Ozone Springs, Wakad-Dange Chowk Link Road, Wakad, Pune. 1st Floor, Nancy Towers, Near Kedari Petrol Pump, Wanowrie, Pune 411040. 1. Swedish Massage : Swedish Massage is the most common and popular massage therapy mainly offered for pain relief. It is characterized by five basic stroke techniques: effleurage, petrissage, friction, tapotement and vibration. The massage movements relieve muscle tension and improve blood circulation. 3. Thai Massage : Traditional Thai Massage is dry therapy performed without using any oils or creams. It involves yoga like stretching actions and other massage movements. Thai Massage helps to reduce muscle stiffness and tension. 4. Ayurvedic Massage : Ayurvedic Massage is an ancient therapy that originated in India about 5000 years ago. Abhyagam Ayurvedic Massage has been mentioned in the old classic texts as one of the important regimes for overall good health and longevity. It is performed using long strokes that stimulate the marma (energy points) on the body to restore the energy balance. Energising Aromatherapy Massage with Grapefruit: A gentle massage that works on the sense of touch and smell, it uses a blend of Lime, Grapefruit and Peppermint essential oils to release hormones that energise your body and mind. 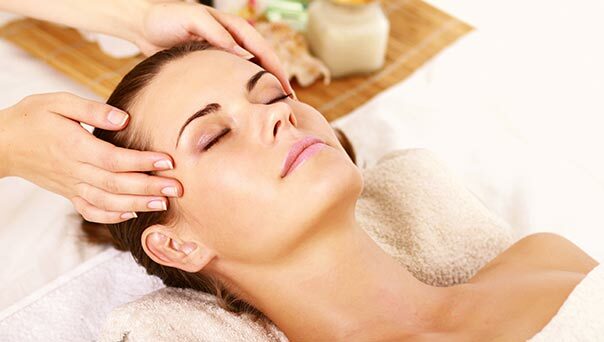 Rejuvenating Swedish Massage with Sesame Oil : Rejuvenating Swedish Massage uses a specially customised combination of Deep Tissue and Swedish Massage techniques. Five types of strokes are used to increase oxygen supply to the muscles and reduce lactic acid formation. Application of deep pressure reduces muscle fatigue and pain. Revitalising Thai Massage: Thai Massage is a type of dry massage that is performed without using any oil or cream. It involves various yoga-like stretching action to improve the flow of energy by eliminating blockages. Sleep Enhancing Massage with Vetiver Gel : This is a type of Aromatherapy Massage that uses Vetiver oil in Aloe Vera Gel. Vetiver oil is known for its calming effect on mind. It reduces restless and promotes sleep. Anti-Oxidant Massage with Juniper Berry Cream: This Massage uses Swedish Massage technique and Juniper oil in shea butter cream. Juniper Oil contains terpene hydrocarbons, chemicals with potent antioxidant properties. Massage with Juniper Berry cream improves blood circulation and helps to eliminate unwanted toxins from the body. The Juniper oil also has a fresh and calming aroma that relaxes mind. 1st Floor – Pradyumna,Lane next to Bank of Baroda Off Bhandarkar Road, Pune 411004.